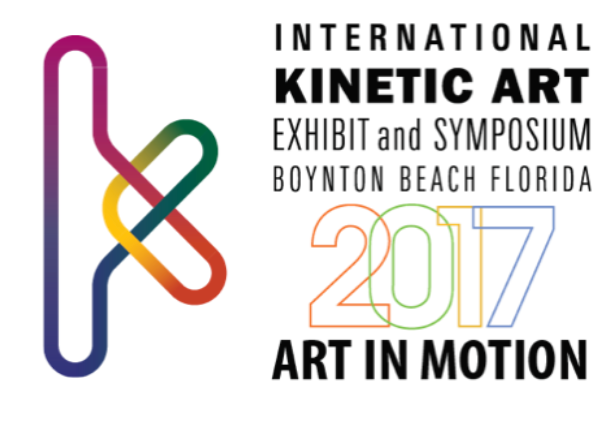 The 2017 International Kinetic Art Exhibit and Symposium, February 3-5, is a FREE Biennial event taking place in Boynton Beach, FL. Kinetic art is art that moves with the help of wind, light, water or other elements. 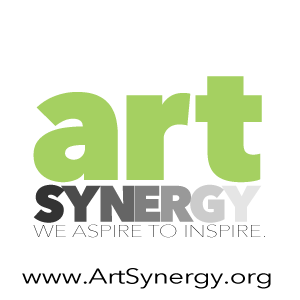 This event will connect attendees to one-of-a-kind visual art experiences, 12 iconic outdoor kinetic artworks, over 60 indoor kinetic artworks, interactive installations, symposium presentations, art and technology displays, kinetic entertainment and international artists. This is a Not-To-Be-Missed International event happening right in our own backyard! Award-Winning artist, Elayna Toby Singer will unveil Kinetic Art “Room” suspended among trees February 4-5. The public is invited to be part of interactive temporary tree art installation “Kinetic Intentions”. The Rickie Report shares the details and some sneak peeks. Cultural District – E. Ocean Ave. from Seacrest Blvd. to Fed. Hwy. ASL Interpreted tours begin at 10 am & 2 pm, at Exhibition Tent on the corner of E. Ocean Ave. & Seacrest Blvd. The students created the mobiles in visual art instructor Ms. Gwenn Seuling’s class. The mobiles, along with participant’s written intentions, will cover four downtown trees to create a curtained outdoor “room” with positive messages that will blow in the wind. The project gave high school students enrolled in visual arts, earth science and computer classes an opportunity to participate in a community project and to learn about kinetic art. 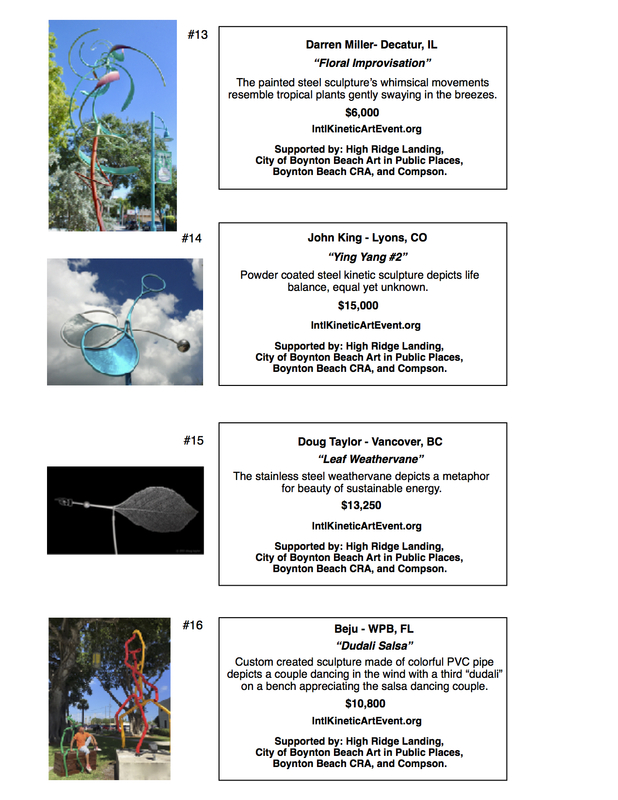 “Kinetic Intentions” is commissioned by the City of Boynton Beach Art in Public Places. Visit www.elaynatobyart.com/kineticintentions for more info about this community creation. 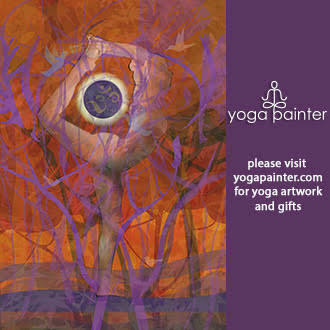 For more info about the International Kinetic Art Festival please visit www.intlkineticartevent.org. The temporary site specific art installation Kinetic Intentions is the brainchild of Elayna Toby Singer, last year’s International Kinetic Art “People’s Choice” winner. Over two days, February 4-5, Kinetic Intentions will “come to life” in the park just east of Boynton’s Civic Center, as thousands of festival attendees create and attach Intention Ribbons, and mini-Mahogany mobiles (or select from hundreds on display from community workshops) to recycled washers on the 150 six-foot kinetic strands. Visitors to the International Kinetic Art Exhibit and Symposium will be drawn to walk in and around the magical outdoor “room” made of twirling strands adorned with mirrors, bells, found washers, community created mini-mahogany mobiles and intention ribbons; all which animate the wind. “Kinetic Intentions is a community ‘moving meditation’ for manifesting personal and environmental balance,” says Singer. “With every breath, positive thought (intention) and movement we are ‘mobilized’ to take better care of ourselves and the environment which sustains us.” Central to this environmental community art project are thousands of Florida Native Mahogany seed pods Singer collected locally from shade trees along neighborhood streets and parking lots throughout Palm Beach County. Singer chose the Mahogany seed pod specifically due to its threatened status in its native habitat from over harvesting for furniture. She sees the recycled pods as a symbol of the delicate balance between us and our environment. The challenge of sustaining balance becomes tangible as the public uses the recycled Mahogany pods to create a balanced mobile. 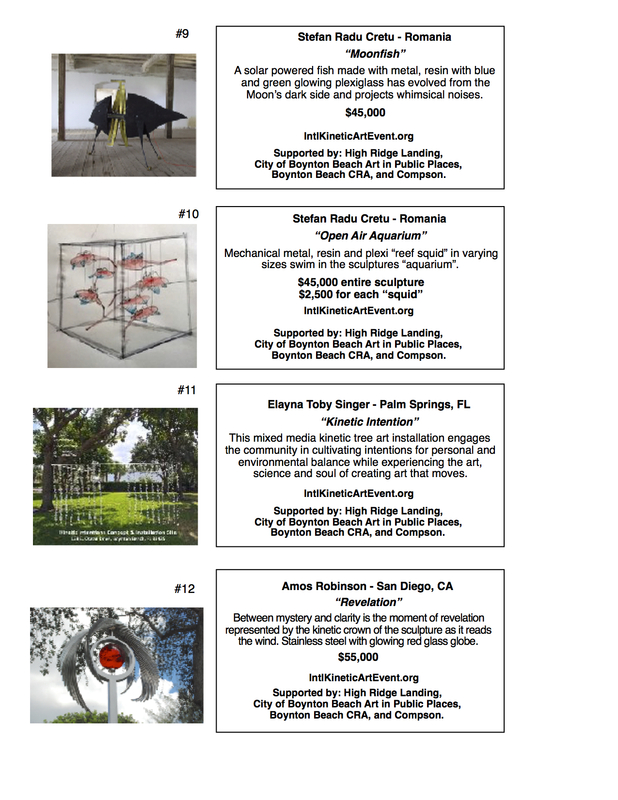 Following the success of the February 2015 Kinetic-Connections, which won the People’s Choice Award for the transformation of an historic kapok tree into living kinetic art, artist Elayna Toby Singer created Kinetic Intentions. The multi-phase community project included six county-wide, free workshops that explored “the Art, Science & Soul of Making Mobiles” under the direction of Singer. Each mini-mobile is constructed using fishing line and recycled seed pods from Florida’s Mahogany trees which are threatened to extinction in the wild. Participants experienced the centering, meditative process of mobile making while pondering their intentions for personal and environmental balance. Those intentions were written onto cloth ribbons which will be affixed, along with the mobiles to an outdoor, kinetic “room” during the International Kinetic Art Exhibit and Symposium February 2017. Ms. Singer creates the outdoor, kinetic “room” with 150 six-foot long twirling strands adorned with mirrors, bells, found washers, community created mini-mahogany mobiles and intention ribbons suspended among four trees in Boynton Beach, FL during the International Kinetic Art Exhibit and Symposium. 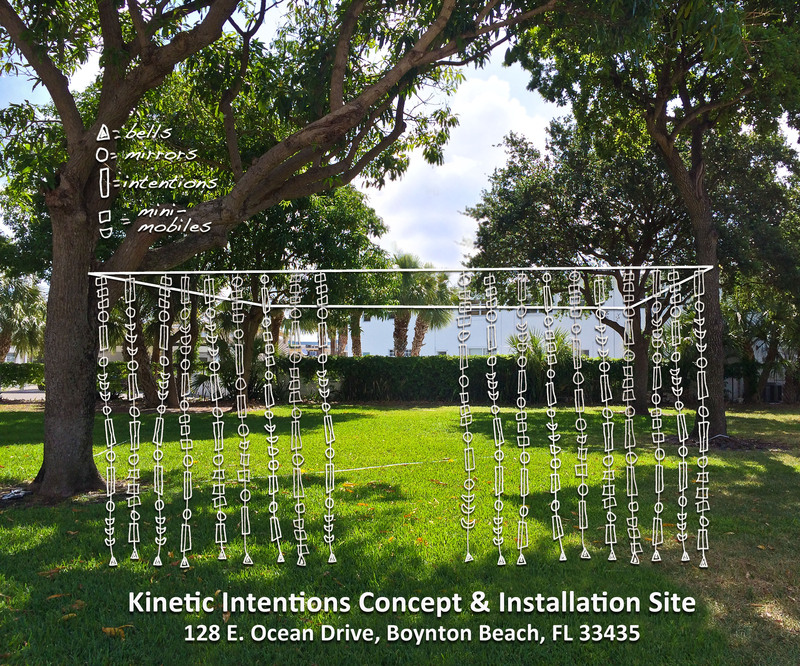 Attendees to the Kinetic Art Exhibit and Symposium are invited to create their own mini-mobile and intention ribbon, or to select ones from the workshops and add them to each strand, bringing the tree art installation to “life.” Kinetic Intentions is commissioned by Boynton Beach Art in Public Places. Elayna Toby Singer has been creating kinetic art sculpture and jewelry since the mid 1990’s and incorporating “found objects” since 2003. Locally, her commissioned works and exhibitions have been shown in Palm Beach and Broward Counties for more than six years. 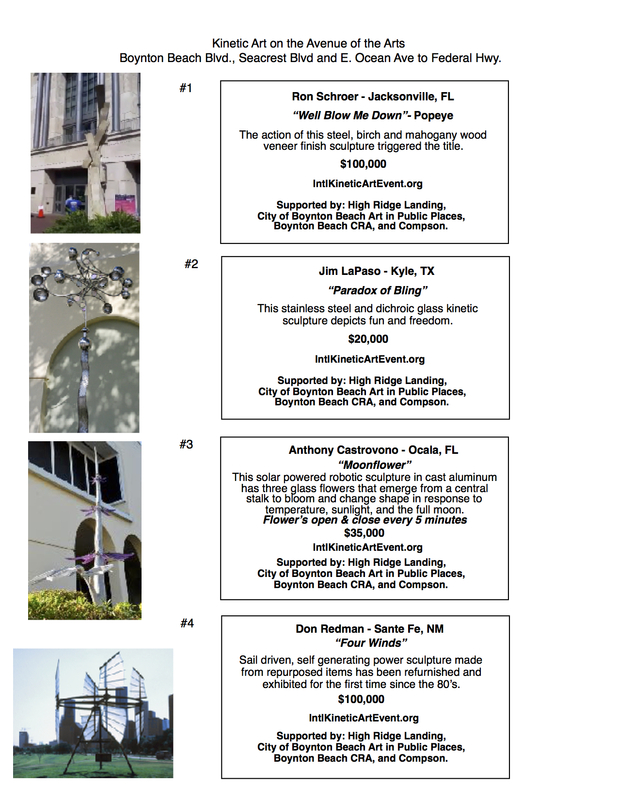 In 2015 her temporary site specific community creation “Kinetic-Connections” received the People’s Choice Award for magically transforming an historic Kapok tree into a kinetic sculpture with upcycled objects from the community. In 2009, Elayna Toby was invited by Habla: The Center for Language and Culture in Merida Mexico, to lead her first “Natural Mobiles” workshop. With a BS in Cultural Anthropology and an MS in Public Horticulture and Museum Management, Ms. Singer’s career in creative place-making began in the early 1990’s when she spent fifteen years in some of the nation’s leading public gardens and arboreta creating experiences that engaged the public in the art, science and heritage of plants and the essential role they play in our lives.